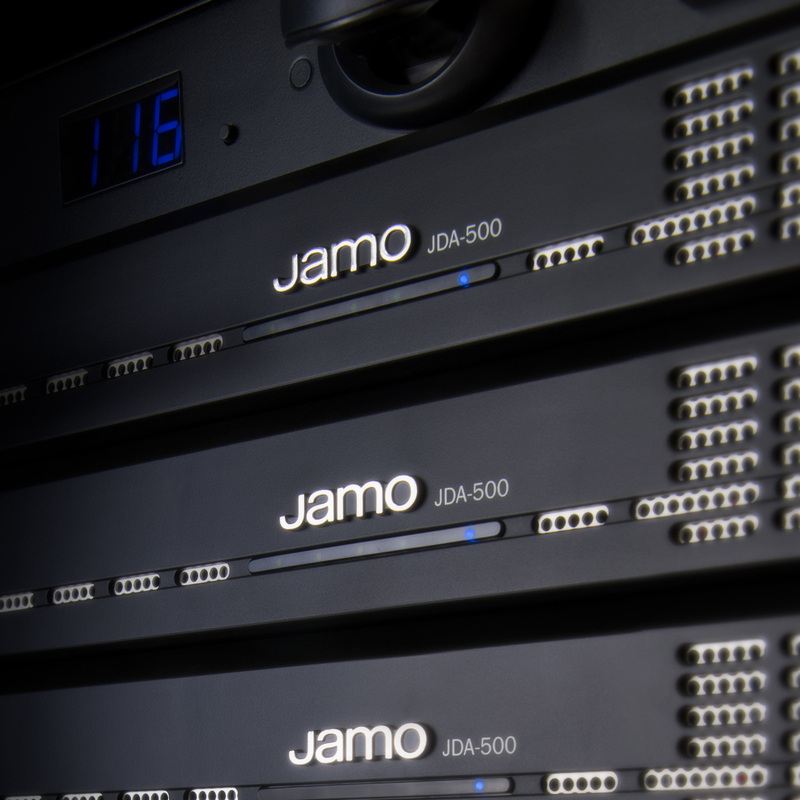 The Jamo JDA-500 offers legendary Jamo power and performance in a sleek, high-tech, 1 rack unit solution. The JDA-500 offers 500W of class G/H power, for clean, dynamic power in any type of install. 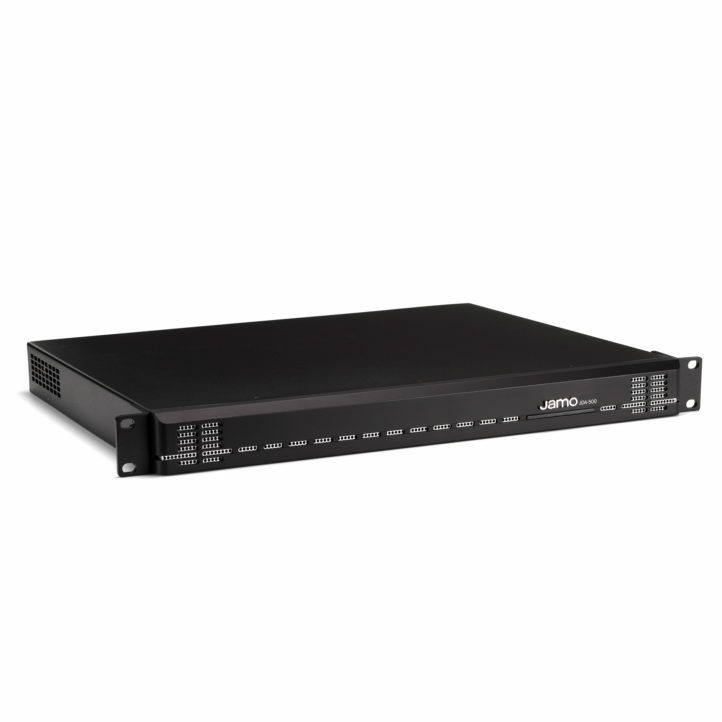 From small residential systems to massive commercial installs, the JDA-500 is designed for maximum install flexibility - offering low impedance and 70V/100V compatibility for distributed line applications. 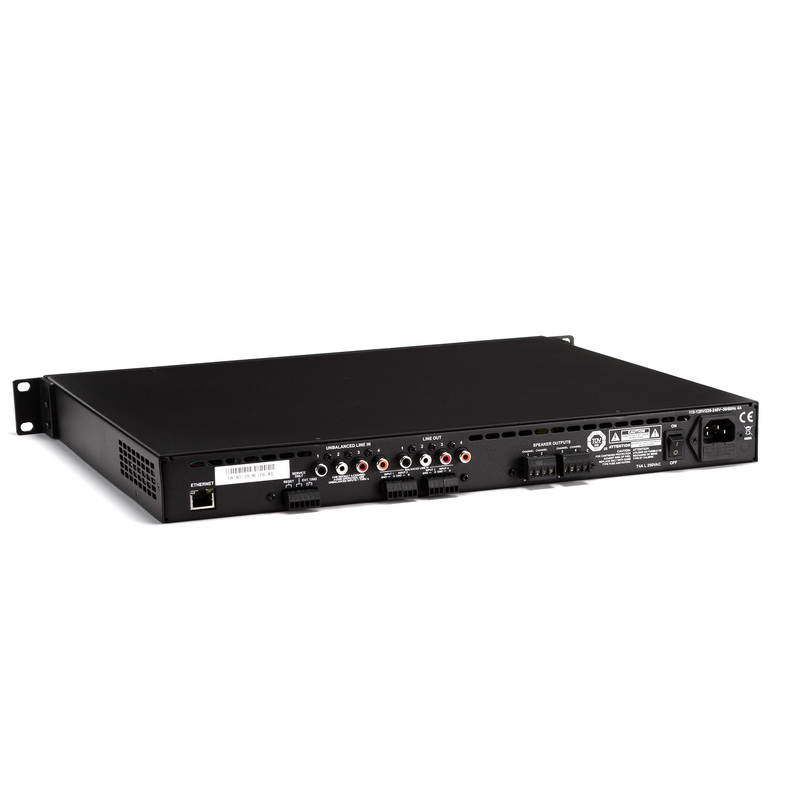 The JDA-500 boasts fully matrixed 4x4 I/O with fully balanced Phoenix and unbalanced RCA inputs, as well as Phoenix speaker outputs capable of connecting up to 12-gauge wire. The myriad I/O, impedance, and acoustic settings are fully matrixed and customizable through the web-based, easy to use, streamlined DSP menu. 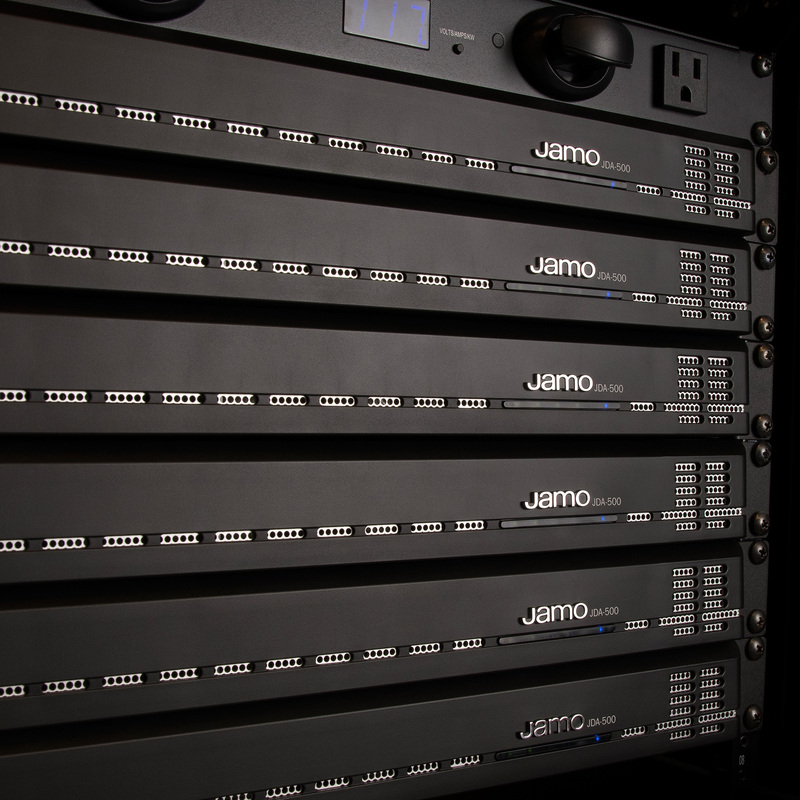 In addition to password protected channel assignments, gain settings, EQ, and limiting, the DSP provides presets for almost every Jamo speaker on the market - optimizing acoustic performance and power handling for these products with a single click. 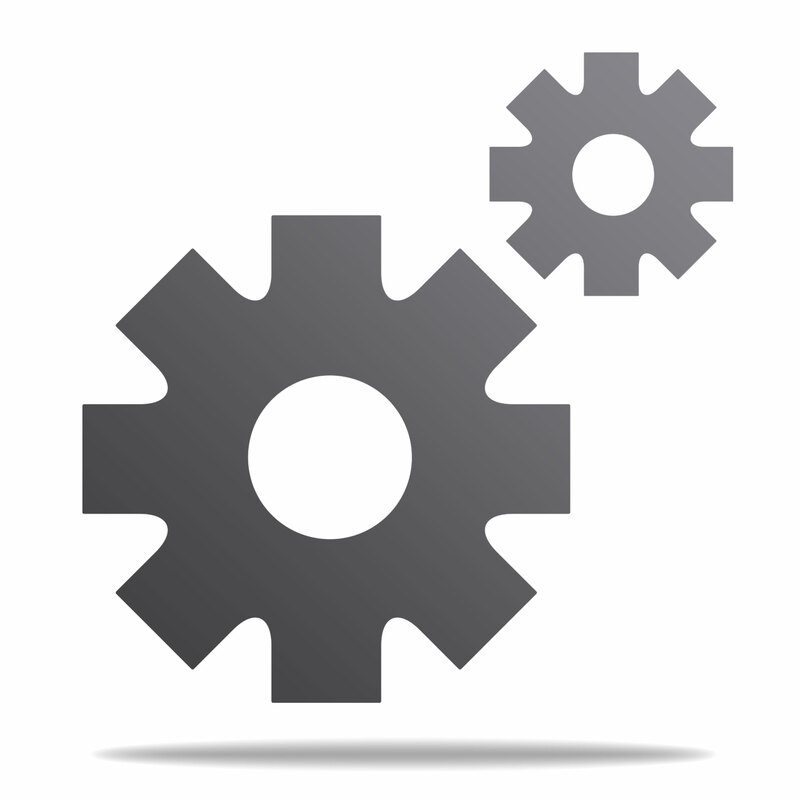 Accessing the DSP wirelessly with a tablet, smartphone, or computer is also quick and easy when the JDA-500 is plugged into the network's wireless router.